When you join Kyokushin Karate you get a handbook, which on the first page states “Everyone can do Kyokushin Karate – not everyone will do it”, this sums it up pretty good. Kyokushin Karate is considered to be the most brutal stand up Martial Art in the World and at the same time the most humbling. Korean Masutatsu Oyama invented Kyokushin Karate in the 1930’s purposely for spreading to the world a realistic self-defense. He traveled all over doing impressive demonstrations for many years proving his Karate is exceptionally powerful. For example Mas Oyama is famous for his Bull Challenge demonstration where he would wrestle a Bull to the ground, break the horns off the bulls head with a Karate chop then punch it between the eyes which would kill the bull instantly. This is just one of many popular demos Oyama is known for. Now you will find Kyokushin Karate in almost every country on earth! Today Kyokushin Karate is well known for its full contact tournaments and to many it is the essential Martial Art practiced to be a professional Kick boxer. 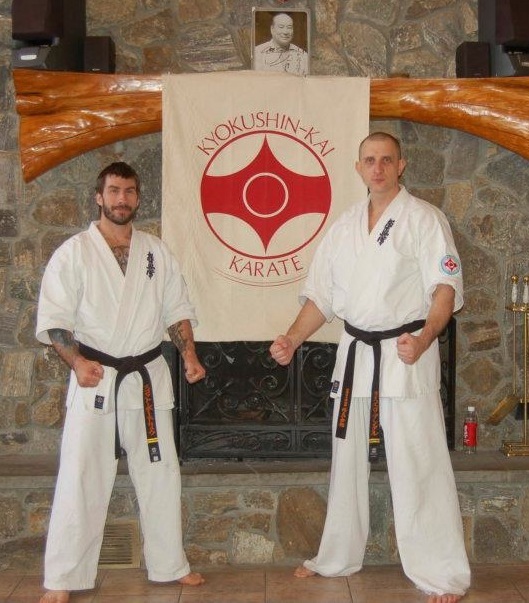 At the moment Kyokushin has branched out to many different organizations. 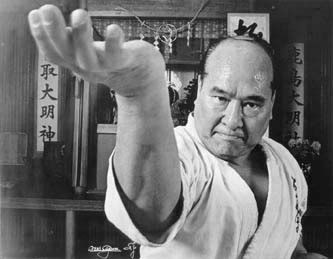 Although Masutatsu Oyama passed away in 1994, the original organization also knows as the IKO (International Karate Organization) has 12 000 000 members worldwide.Little people know the physical training is only half of it. The Kyokushin Karate mindset has a special charm. Myself, doing this martial art since 9 years old, have met some of the nicest people I have ever met who practice Kyokushin. Kyokushin really brings out the best qualities in people and this is what a lot of fight fans don’t see unless they practice the art itself. Soon after getting my Black Belt in Kyokushin Karate I naturally was drawn to any Martial Art that required some serious grinding. Kyokushin instilled a permanent blueprint in my mind that affects my attitude every time I challenge anything whether I am buying something, going on vacation, working in the office, making promises to friends or business affiliates, when I go to the gym, when I do Brazilian Jiu-Jitsu. I never give up and I am drawn to big challenges, this attitude comes from my training in the Kyokushin Karate system.All that said, today I see more and more Instructors, Clubs, Classes and Programs that are teaching a similar mindset. It makes me very proud and happy to observe others recognizing the strong values of the disciplined mind and body.